A ruling by the World Trade Organization to impose more than $1 billion in trade tariff sanctions against the US by Canada and Mexico over mandatory country of origin labelling has set consumer against livestock producer and farmer against meat processor. The dispute over whether the US can insist on country of origin labelling (COOL) on pork, beef and other meat products as well as livestock has been the centre of prolonged argument at the WTO for more than six years. The US has demanded the products be marked with their country of origin because it claims to be giving consumers important information about the source of their food and the traceability of products. However, Mexico and Canada have insisted that the way the US has implemented and worded the regulations has placed their livestock and meat sectors at a trading disadvantage. In the protracted dispute, Canada had called on the WTO to sanction more than $3 billion in retaliatory sanctions against products as varied as fruit to furniture, while the Mexican government had called for $713 million in potential sanctions. This week Canada was permitted to raise duties on a variety of goods worth C$1.055 billion and Mexico will be able to impose tariffs of $227.758 million. These sanctions could be imposed within days – certainly before Christmas – but they have done nothing to quell the arguments and anger that has been felt on all sides of the border by livestock and food producers and by consumers. In Canada, Chrystia Freeland, Minister of International Trade, and Lawrence MacAulay, Minister of Agriculture and Agri-Food said: “Country of origin labelling harms Canadian and Mexican livestock producers as well as US processors and producers. It also disrupts the highly integrated North American meat industry supply chain. “Since 2011, the World Trade Organization has repeatedly ruled that COOL discriminates against Canadian and Mexican cattle and hogs and violates the trade obligations of the United States. The US National Cattlemen’s Beef Association President Philip Ellis said that immediate action is needed by the Senate or retaliation against US exports will soon follow. “If the Senate does not act, US beef exports could face a 100 percent tariff in these countries, severely diminishing about $2 billion of beef exports annually. “The COOL rule has been a failure on all accounts; it has cost our livestock industry billions in implementation, it has violated our trade agreements with two of our largest export markets, it has resulted in the closure of several US feedlots and packing facilities and it has had no effect on the price or demand for US beef. And he called for the immediate repeal of mandatory COOL. However, consumer groups in the US have been calling on the US government and the president to take a tough stance, dig their heels in and fight the WTO ruling. Tariffs and sanctions it would appear mean little to them, even if other product producers and trade is likely to suffer. Thomas Gremillion, Director of Food Policy at the Consumer Federation of America said: “The World Trade Organization issued a ruling today that favours global agribusiness at the expense of consumers. 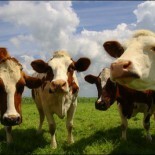 “Ninety percent of Americans strongly support Country-of-Origin Labelling for fresh meat. Congress and the Obama Administration should resist calls to repeal COOL and resolve this dispute through negotiations with Canada and Mexico. “Congress made its determination in 2008 that Country-of-Origin Labelling should be the law of the land. Weakening or eliminating current COOL law would harm American farmers and ranchers who take pride in the foods they produce. “The impact of repeal would also extend beyond meat and poultry to foods ranging from fish and shellfish to fresh and frozen fruits and vegetables and many nuts, which are all required to be labelled with country of origin under the law. “American consumers have come to expect this information, and they believe they should have right to it, as poll after poll has shown. “The WTO’s latest ruling on COOL illustrates the danger of this Administration’s misguided trade agenda. For years, multinational meatpacker and agribusiness corporations tried to convince legislators to repeal COOL, but policymakers listened to their constituents. “Now, some members of Congress are claiming that they must heed the demands of an unaccountable foreign trade tribunal. The consumers’ stance has also found support in the US National Farmers Union. National Farmers Union President Roger Johnson denounced the World Trade Organization finding calling the process “inefficient and ineffective”. “Time and again the WTO process has undermined US sovereignty and the right of American consumers to know the origin of their food,” said Mr Johnson. This entry was posted on December 9, 2015 by agedchrisharris in Cattle, Meat, Pigs, Poultry, Sheep, Uncategorized and tagged Country of Origin Labelling, Retaliatory tariffs, WTO.